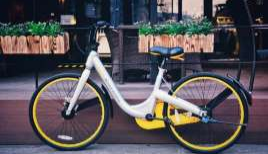 oBike Asia’s provisional liquidators will hold a meeting with the company’s creditors, including oBike users that paid a deposit, on 2 August 2018. The meeting is in line with the Companies Act (Cap. 50) of Singapore. According to an announcement, creditors will be provided with an update on the company’s winding up at the creditors meeting. The liquidators created a circular containing relevant details as well as forms for the meeting. A copy of the circular is available, for creditors to download, at www.obikedepositholders.com. “For the purposes of attending and/or voting at the creditors’ meeting, creditors are requested to submit their claims (via online form for deposit holders or by way of Form 77 for other creditors) and/or proxy forms by 12’o clock noon on 1 August 2018,” the liquidators said.